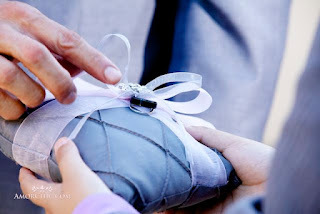 For the flower girls basket, I bought the baskets from the discount store and I used the same fabric as the ring bearer's pillow. I glued gun the fabric onto the baskets and added a ribbon for the handles. 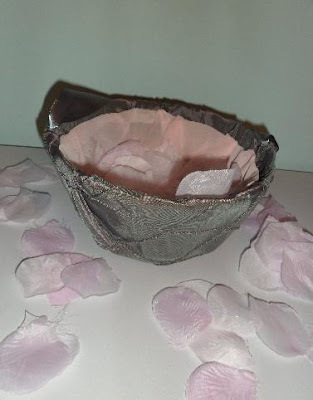 The flowers were artificial plain white so they were tub dyed to a light pink. 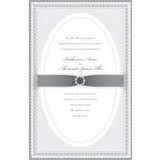 Our invitations were from Michaels; we had been on the hunt for gray/silver invitations and stumbled upon this kit. Very simple to assemble and easy to print at home, the end result was beautiful and fancy. I knew I had wanted some sort of sparkle or bling sash as opposed to a ribbon so I found this beautiful trim online at gloryshouse. com all I did was cut it to the size of my waist and hand sewed a hook an eye to buckle it. For my husband’s handkerchief I had some leftover blush fabric, I ended up cutting a basic square and sewing a narrow hem. 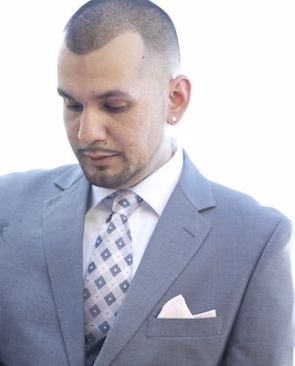 I followed a basic folding technique that would pop out on his suite pocket. I really wanted to have a candy/sweets bar, you know the ones that are trending right now. Usually you see all these fancy glass wear, cup cake stands or cake stands. I wanted a nice blush cake stand for my cupcakes; I bought a fancy white plate and toasting glass from the discount store. I also, bought gorilla glue and a blush spray can. For this project I had my husband spray can the plate and glue on the toasting glass as a stand. 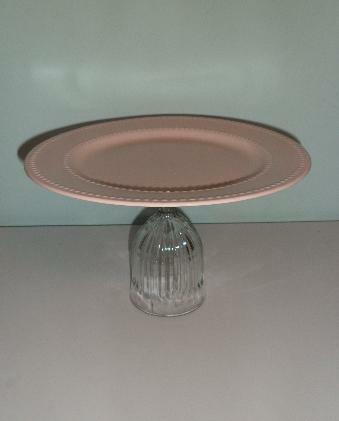 I really loved the way it came out; it goes to show you that you can have a fancy cake stand for less. Finding the perfect veil was very challenging, especially because my wedding dress was a blush color. After the endless search I decided it was time to take it upon myself to make my perfect wedding veil. 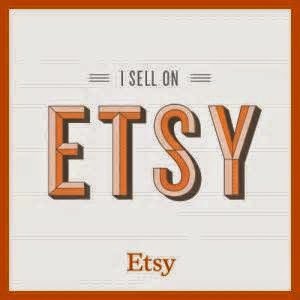 I bought a shimmer blush tone tulle, a silver comb, and tear drops rhinestones from Joann. The veil was a medium length with scalloped edges, I ended up applying a few rhinestones at the bottom and hand sewn rhinestones on the comb. I wanted my veil to consist of two tiers, for that dramatic flip when the groom unveils his bride for the first time and shares their first kiss as husband and wife!! I will forever be thankful for my dearest eldest sister, for coming to the rescue with my broach bouquet. 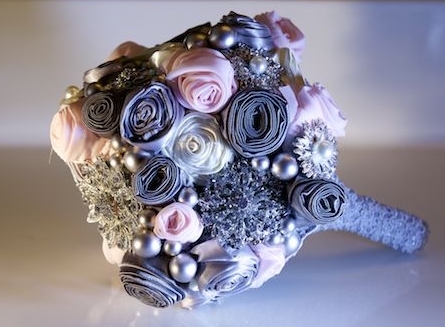 I had seen many beautiful broach bouquets and I wanted one so badly, I figure it would be unique, sparkly and best of all it would last forever. I bought these pearl, rhinestone broaches from ebay, let’s just say they are hard to come by especially since a lot of brides are on the hunt for them. I got lucky and finally won the bid which ended up being a bargain. Other supplies used for this project included floral wire, foam, bouquet cone, ribbon, glue gun, and different tones of fabric to make the fabric rose buds. I honestly had no idea how to go about this, so my sister decided she would take care of it. Let’s just say she has patience, and is very creative. When she gave me my broach bouquet I was in total awed and so thankful. Thank you sister your the best, love you!!! 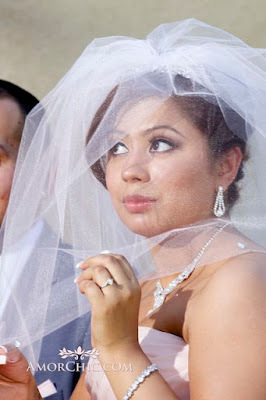 My wedding was everything I pictured it would be and more! 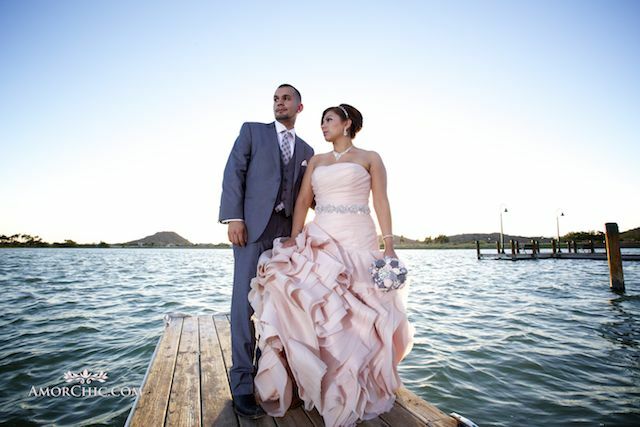 Best of all I got married to the man I love; together we will share new beginnings and build a family. I Love you hun!! !